My hands have been busy, but my mind has been quiet. Even a few hours of letting my mind rest, giving myself some space, has made a difference. You know, I've avoided quiet for years. In college, I turned on the TV before I did homework- I liked having people talking in the background. Car trips are filled with music and occasionally a book. I like having a busy brain. But a busy brain often silences the quiet whispers of my God. Since my forced quiet, I've heard Him more clearly, seen His hand more powerfully. Because I'm not distracted. In the Bible, the idea of rest is taken seriously. People who disobey the command to rest are subject to hefty consequences. Our God, the One who knows us best because He made us, after all, tells us to rest. Tells us to wait. Tells us to just be. Often, I take this very literally and limit my Sunday activities to church, naps, and relaxing. I go on vacation. I sit outside with a cup of coffee. But I need more. Not only do I need physical quiet and rest- I need mental rest, too. I don't think that we were met to be constantly connected. Constantly entertained. Constantly distracted. God speaks in the little moments- and when I'm on my phone, or watching a sit-com, or filling my minutes with amusement, I'm can't hear Him speak. I need those quiet moments in my days. In my everyday. Because, oh, hearing His voice, it's so much better than those things I fill up my time with. So much better than that TV show or that Facebook post. This bit of quiet- I need it. It brings me closer to God. That is so true. There's a big difference between the desire to lose reality for a little while (I know that I need it sometimes! I need that mental distraction of a TV show or book! ), and allowing ourselves to truly be quiet. I so agree with you! I don't think we were meant to be constantly connected either. As long as we are constantly connected with Jesus, that's all that matters! Oh I so totally feel this. I'm been trying to find new ways to incorporate more quiet in my life these days. What ways have you come up with, Lindsey? I'm finding that something as simple as turning off the radio at work and just leaning back with my eyes closed for two minutes makes a big difference! 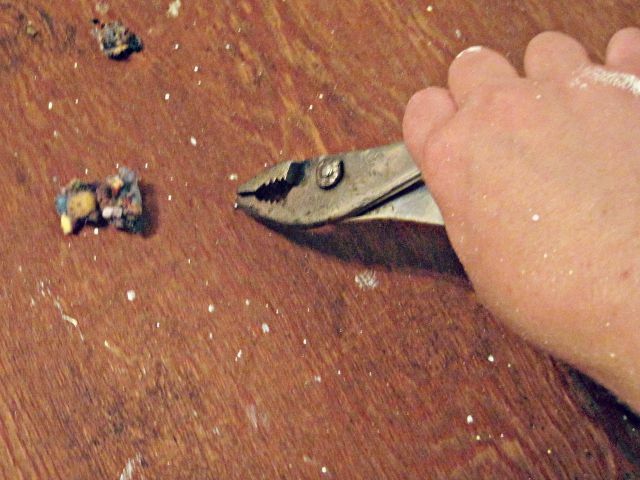 I homeschool my kids so my house is anything but quiet. I have to get up before everyone else to start my day in the Word in quietness. If I don't then I can quickly tell the difference! Thanks for the reminder of how important this really is! I used to be afraid of the quiet. Now I embrace it for all its beauty & rest! I never have quiet! I always have noise of some kind going on because it calms my anxieties...but I need to get better at loving the quiet!! Thanks for sharing this at the Welcome Home Wednesday party--we hope to see you again next week! I'm right there with you- that background noise seem so important to me! But even if it's just turning off all the words - the radio, the TV- and resting in some good old fashioned "white noise," even that seems to make a difference for me! Quiet is a rare thing in my house. 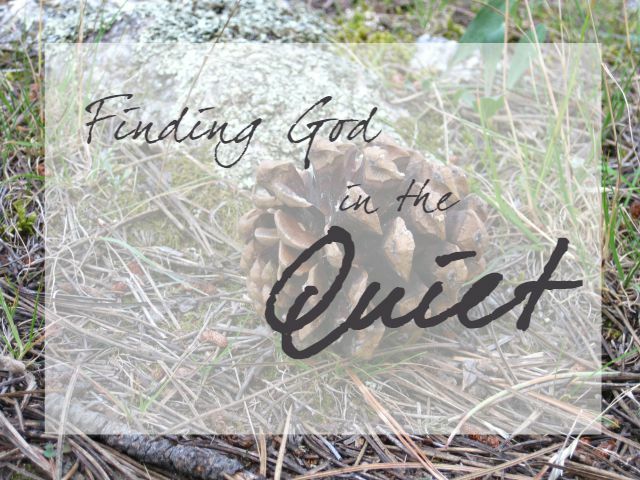 With kids and a dog and a husband (ha ha ha) I never have time to reflect and think about things I need to do or just to have quiet time to devote to prayer. Thank you so much for reminding me how important it is to have this time. Thank you for sharing and linking up with us over at the Welcome Home Wednesdays Link Party!